The success of the “Serial” podcast can only be described as a phenomenon. One of those times when something in the ether gels and a piece of pop culture goes from relative obscurity to fanaticism (or more accurately in “Serial’s” case: from healthy listenership to constant reference in the unlikeliest of locations). Quickly upon returning home after the conference, I started listening. And like many others, I was instantly hooked. I binge-listened to as many episodes as I could and was soon anxiously awaiting new segments along with (it seemed) everyone else. 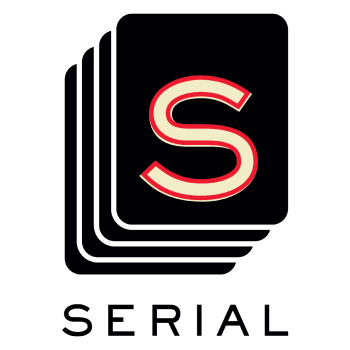 Because I knew that “Serial” was reaching an audience that had varying levels of exposure to true crime tales and crime writing in general, I had the idea to approach some crime writers and fans to get their take on “Serial.” I wanted to encourage fans of the podcast to realize that “Serial” has much in common with the best of crime writing (fiction or non) happening today. Most of those with strong negative feelings have opted not to weigh in and even some of the strongest supporters have chosen not to participate in the end, but when you read these comments from those that did submit thoughts, you will see a common thread throughout. I was predisposed to enjoy “Serial.” I grew up in the area in which Adnan Syed and Hae Min Lee’s story unfolds. I have been in that Best Buy parking lot on many occasions. My high school was in a bitter rivalry with Woodlawn High (albeit, many, many years earlier than the timeframe of this crime). I also happen to love true crime tales – in a myriad of different formats. And lastly, journalistically speaking, I found the path that Sarah Koenig taking to be a fascinating one. “Serial” plays out like the best of crime fiction – plot twists, new evidence, possible corruption, etc. – but we must never lose sight of the fact that this is real life for those involved. While there is much to be captivated by within the podcast, there is also the uneasy feeling that this tragedy is now becoming entertainment consumed by the masses. I do still believe that Sarah Koenig’s intentions were pure and that there is value is watching how an investigation of this sort can take unexpected turns, but I also know that the ultimate outcome is likely to be less realized than what shows like CSI, Criminal Minds and Cold Case Files have led the public to believe. “Serial” resonates like the best TV or fiction coming out lately by telling a long-form story that parcels out bits and pieces of a compelling mystery. I find the journey that Sarah Koenig is taking us on to be the most interesting part – I don’t really think we’ll reach a magic moment of clarity at the end, so I worry about the fans that seem to think this is where it’s headed. And while I love the show and I do think the format is new in terms of radio, I’d like to echo something author Megan Abbott noted not long ago on “The Takeaway” – that fans of true crime and similar narratives have been experiencing stories like this for some time. That said, I love the show – I listen to it first thing every Thursday and I find the execution and structure fascinating. I was hooked from the first episode and I worry about a time when there isn’t a new installment waiting on my iPhone. I’ve been listening to “Serial,” and specifics aside, it’s really exciting to see so many people riveted to a crime story, week after week. The podcast format is the perfect way to unfold such a complicated, twisty tale. I began listening to “Serial” as an avid “This American Life” fan. I’ve loved TAL and Sarah Koenig for years, so the prospect of a deeper plunge into the kind of storytelling TAL does was exciting. I was nearly instantly hooked. Partially because, well, weren’t we all? Partially because I’m very familiar with that area of Baltimore–my husband and his family are from there and it’s, coincidentally, the first place I lived when I first moved here 16 years ago. Listening to episode 9, one of my greatest concerns crystallized: It is easy to get so caught up in the storytelling that you forget that this is reality. That Hae Min Lee’s family is still in too much pain to even talk to Koenig (not to mention Hae’s mother’s quote from the sentencing, about mourning a child). Are they somewhere wondering if the justice system failed them and if their daughter’s murderer has enjoyed 15 years of undeserved freedom? That the Syed family must be hoping this process will lead to the overturn of Adnan’s conviction (I mean, in the moments where I believe Adnan is innocent, I want that and I don’t even know him!) That even public opinion’s favorite suspect Jay must be getting negative fallout from this. Now, if this process comes to a tidy, satisfying conclusion, I think the audience will forgive this. But, as Koenig discussed in NYT Magazine, the ending may not be “tidy” or “satisfying.” I worry about that for a lot more than those connected to this case. I worry about it for Koenig herself and for TAL. “This American Life’s Serial” podcast of the case of Adnan Syed in the murder of Hae Min Lee is a fascinating post-mortem of a criminal case. Sarah Koenig is the wonderful narrator of a complex case built on circumstantial evidence and explored through personal interviews, witness statements, and trial transcripts that kept this listener enthralled. Well worth the time. First, the superficial: I love the radio/podcast format. I can listen in my car, while I’m doing errands, cooking, or cleaning. More substantively: While the podcasts are true crime, they tell an excellent story. And “story” is what most of us are drawn to. At least I am. We are introduced to the “characters” (Adnan, Jay, Hae, and the others) up front, but we come to know them more fully as the story unfolds. We discover they are not cardboard stereotypes, because we are privy to their conversations, behavior, and, in some cases, even their motives. Such robust character development in a true crime story is unusual. Which makes it difficult to pass judgment. We’re also a part of the narrator’s interior monologue, again, unusual in a true crime story. Sarah is an amateur sleuth, trying to solve a fifteen year old murder. As the audience, we follow along with her as she finds clues and pieces out the truth. From time to time Sarah doesn’t know what to think, and as each piece of the puzzle is revealed, we waver along with her. Is Adnan guilty? Did Jay do it? Was there a third person? As a writer, I know that the basis of suspense is to ask questions that are unanswered for as long as possible. Sarah does that often, and it makes for great suspense. Finally, I love the source material. Taped interviews both before and after the trial, the pre-trial and trial transcripts, and conversations with third-party experts lend credibility to the “plot.” A private detective, a former Homicide officer, and others help frame what’s important for us, so we can match wits with Sarah and come to our own conclusions. While I am enthralled by “Serial,” I must admit that my feelings are mixed. The podcasts are intensely engrossing and, unlike so many true crime television shows, are focused on the minutiae of the case, often examining seemingly small aspects in painstaking (but riveting) detail. The result is both humanizing and frightening. “Serial” plays out like a thriller–with all its attendant suspenseful twists. But in crime novels, justice prevails. We the readers can walk away assured that the victim was vindicated and the right person got his or her comeuppance. Not so with “Serial.” For me, “Serial” is a reminder of just how fragile our investigative process can be (no matter how dogged all parties are in seeking the truth). And while “Serial” spins a mesmerizing story, at its core are real people for whom the events portrayed have had grave consequences. While this is certainly not all the opinions on “Serial” and even these opinions may change over the course of the series, it is interesting to see some common threads through all of our comments. I will leave it to readers of this blog to take from these recurring thoughts what they will. Since “Serial” has been green-lit for a second season, this podcast is not going anywhere. All we can do is monitor how the rest of season one develops and see where the creators take us for season two. You will enjoy it Erin. It’s good to listen while driving or doing things around the house. Of course, when Rian is asleep. Kris, thank you for soliciting and printing the comments you received about Serial. I, too, binge-listened in mid-November. I, too, became addicted. As with true crime stories in other formats (be it books, the news, shows like 48 hrs), these are real people that have become characters. I think Sarah’s voice is fantastic. She never claims to be anything other than what she is. She never denies bias. You feel like you are chatting with your friend, who happens to be investigating an old crime. In response to Cy’s comment, I certainly hope that TAL experiences no fallout if there is an “unsatisfying” outcome. I would be more concerned that interest would lag for the now promised second season of Serial. If the outcome of the actual human beings (who like research subjects are undoubtedly exposed to unanticipated risks in the making of this) is unsatisfying to the consumer (who will suffer no actual harm), at least there will have been conversations both about the case, the “art form” of serial, how racism/anti-Muslim/et cetera sentiment creeps into daily life, and much more. Thanks Kristina. I think that TAL is “safe,” since it does have a proven track record. I do worry that Sarah may face some backlash if people end up being disappointed in the overall show, but as you say, she is given people what she promised. I think in many ways this is like the early days of Reality Television – where the masses didn’t know what to think of it. However, as we have seen with Reality Television, time tends to distort these new media methods and create hybrids that are not at all what the “intention” was for the early pioneers. If Serial addresses a different kind of story next season, it may yet prove a viable format. The real question is will the average listener find a story that has less “high stakes” as gripping as they are finding this murder case? I guess we’ll see.